Flying 0: If Frenetic Efreet is in play, flip a coin. If you win the flip, Frenetic Efreet phases out. 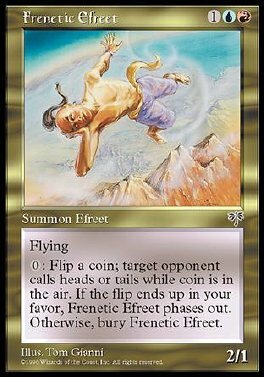 If you lose the flip, sacrifice Frenetic Efreet.